Think You Could Walk 50km Around London In One Night? Laura Reynolds Think You Could Walk 50km Around London In One Night? 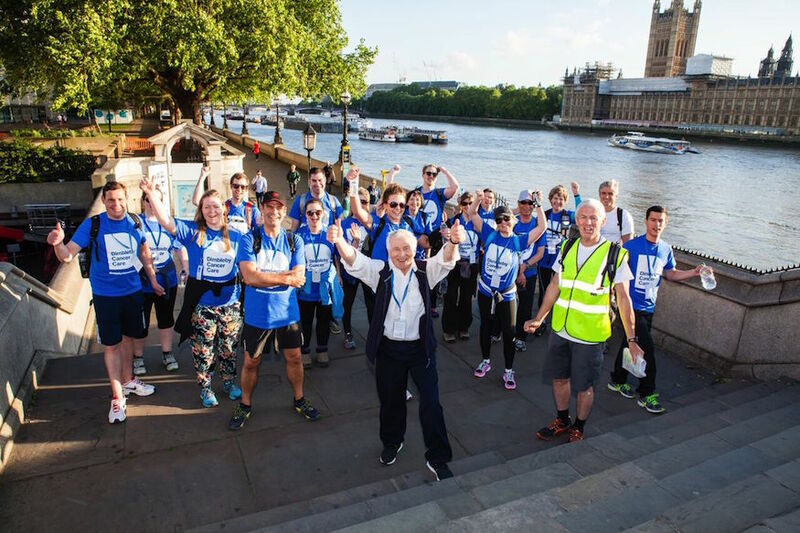 London-based cancer charity Dimbleby Cancer Care marks its 50th anniversary with a sponsored night time walk through London in June. The 50km route begins at St Thomas’ Hospital next to Westminster Bridge, winding along the river past Battersea Park down to Putney Bridge, before heading back towards the city centre via Kings Road and Sloane Square. From here, it's up past Tower Bridge, out to Docklands, through Canary Wharf and Greenwich foot tunnel, finishing at Guy's Hospital next to London Bridge. We're exhausted just thinking about it, but it's a great way to see London at night. Dimbleby Cancer Care was set up in 1966 in memory of broadcaster Richard Dimbleby. Based at Guy's and St Thomas' Hospitals, it provides practical and psychological support to cancer patients and their families. The event first took place last year, and the 100 participants raised an impressive £95,000 for the charity. This year, the charity's chairman Jonathan Dimbleby hopes to get 200 people taking part. Walk50 takes place 10-11 June. Registration is £25 per person, or £150 for a team of 10, with a fundraising target of £250 per person.